Your First Trout, Outdoor Casting Platform, 11:00 a.m.
Fly-Fishing the Llano River, Conservation Center Room B, 2:00 p.m.
Harry Crofton became involved in fly-fishing and tying in Australia over 20 years ago. 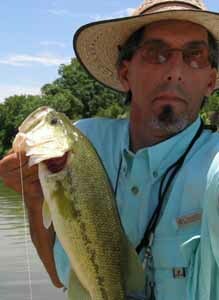 He is an FFF certified casting instructor, a Texas Parks and Wildlife angler educator and a licensed freshwater guide. Harry is on the pro staff of Echo Fly Fishing and Airflo Fly Lines. He has fished extensively in a number of countries but still looks for every opportunity to cast a Miss Prissy for "Guads" on the Llano in Central Texas.